The sailor… responds to the subtle shiftings of the wind, the imperceptible ebbings of the tide. He changes course. He trims the sheets. He sails. 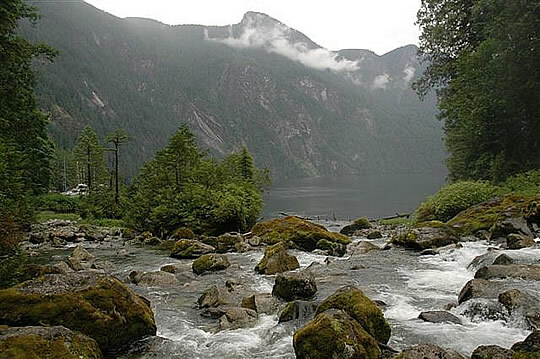 The spectacular beauty of Vancouver Island and British Columbia’s coast is unparalleled anywhere in the world. While visiting or living on the mid-Island, you have convenient access to the most central cruising location available on the west coast. “This is the most spectacular place in the world,” Shari MacPherson, co-owner of Nanaimo Yacht Charters & Sailing School, says of the Pacific boating adventures available here. Shari has sailed across the Atlantic several times and had the pleasure of cruising in the Caribbean and the Mediterranean so can make some awesome comparisons. If you’re new to boating, a sailing adventure can begin and end in Nanaimo’s harbour. Explore the many wonders of Newcastle Island Marine Provincial Park by sailing along its distinctive shoreline of sandstone cliffs and ledges. You can tie up to the wharf or drop anchor in Mark Bay where there is good holding ground. After a walk through the rainforest, you can head back to your boat via a stop at the Dinghy Dock Pub on Protection Island before returning home. Shari is enthused about Nanaimo and lets boaters know what to see here as well as on the smaller islands such as the flea markets on Gabriola and Salt Spring Island. Sailors receive a briefing before they set sail and have manuals on board to remind them of any forgotten details. A dinghy and outboard on each yacht help sailors to make onshore visits. Shari’s favourite spot is Silva Bay on Gabriola Island. “You turn a corner, the bay opens up and it’s so peaceful with the rocks and trees on the shore,” she says. Silva Bay offers sheltered, overnight anchorage. You can enjoy a meal onshore at Silva Bay Resort & Marina and take in the panoramic view of Silva Bay and the Flattop Islands. While on Gabriola, you can visit Silva Bay Shipyard School, Canada’s only full-time wooden boat building school. As each yacht has a barbecue, you can do your own cooking wherever you stop to relax and share adventure stories with other sailors nearby. Whether you’re planning a one-day adventure or a longer jaunt, Nanaimo Yacht Charters offers several unique cruising itineraries. 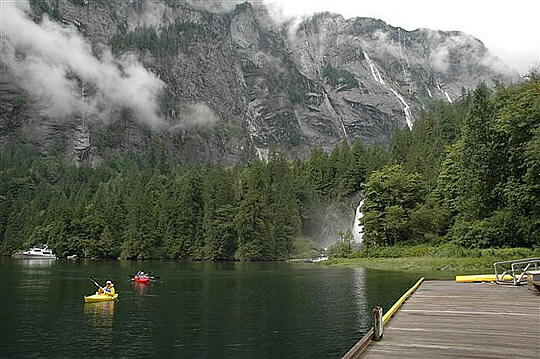 A 10-day cruise through the Gulf Islands and a 2-week cruise up the Jervis Inlet to Princess Louisa National Park are among the possibilities. Princess Louisa is rated by National Geographic as one of the 10 top sailing destinations in the world. Imagine sitting on the deck of your boat watching the eagles swoop for their fish breakfast. “All this is right on our doorstep,” Shari says. Shari MacPherson, Ian MacPherson and Lorraine Bell make up the management team at Nanaimo Yacht Charters. Originally from Africa, Shari and Ian spent ten years cruising, travelling as far as the Caribbean where Shari ran a day charter boat operation and Ian ran Sunsail, one of the largest charter companies in the world. The company enticed the couple to Greece where they looked after 250 yachts and 6 hotels. The MacPhersons and Lorraine Bell have owned Nanaimo Yacht Charters for the last 2 years. Lorraine has a background in sales and marketing and ran a large employment operation in South Africa and in Ontario before moving to Nanaimo to become part of the three-person management team. Yacht chartering is done through a partnership with the owners of the vessels. As Shari points out, “Insurance and moorage are major expenses. We manage the boats in a partnership to help offset expenses. The owner gets a percentage of the revenue.” Yacht owners live locally as well as in Alberta and the U.S. Part of the fleet is owned by Nanaimo Yacht Charters. Sailors need to prove their competency when chartering a boat. You can choose from a charter fleet consisting of sailing yachts and powerboats ranging from 27 feet to 50 feet. The Catalina 27 for instance, is one of the world’s most popular smaller sailboats, which include the Barakette and the Joss that sleep 4. If you’re looking to sail with a larger group, for a company party for instance, the Beneteau 50 sleeps 12. 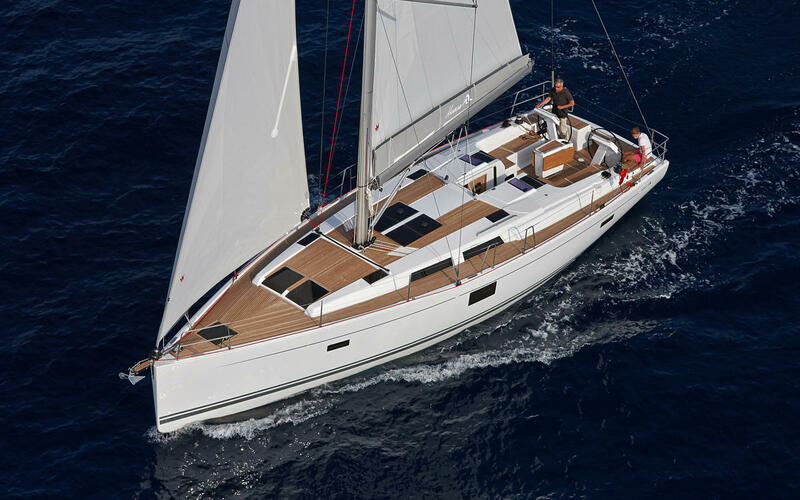 It’s a superb 50- footer with a fully battened mainsail, lazy jacks and electric halyard winch. The Sailing School is accredited to teach International Sail and Power Association as well as the Canadian Yachting Association methods of instruction. At on-site classrooms, students can take a Basic Sailing course to learn sailing safety, docking, sail handling, emergency procedures, knots and weather in order to competently skipper or crew a sail or powerboat. Certification can be achieved through a course run over weekends (practical) and weekday evening lessons (theory). With “tailor made” Power and Sail courses for individuals, couples or families, you can charter a boat, take an instructor along, and learn at your own pace on a 5-7 day cruise. Programs range from basic (competent crew) to advanced level including a Yachtmaster Offshore Certification Course. If you do own your own boat, the company offers range of yacht services including haul outs, repairs, maintenance and yacht care at their Stones Marina location in Nanaimo. This fall Ian will be teaching the dying art of celestial navigation. Although sailors don’t sail their yachts at night, learning to navigate in the dark is the perfect preparation should navigation equipment ever fail. 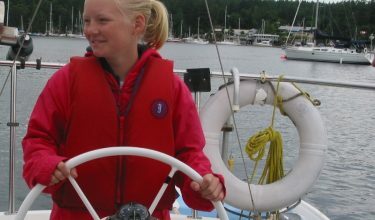 Nanaimo Yacht Charters also offers a Seawise Women’s Cruise and a 5-day summer camp for kids and teens, aged 8 to 16. Young people engage in an interactive experience that involves going ashore to journal about wild life. There’s one overnight with a barbecue. “There’s a completely different perspective from the water,” Shari says. The only limitation to your boat rental or sailing vacation is the length of time you have to spend. The Pacific Northwest is open to you with countless islands, private coves, safe anchorages and a variety of marinas – and it’s all right here.